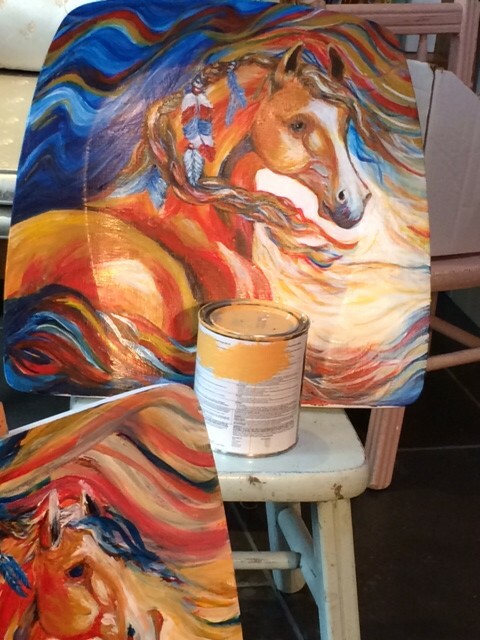 Mixed Mediums | Sheryl Kaleo... var scss_share_image="https://www.sherylkaleo.com/wp-content/uploads/2015/11/Sheryl-Kaleo-Banner-copy-copy.jpg"
I paint in a variety of mediums, including oil, acrylic, and water color. 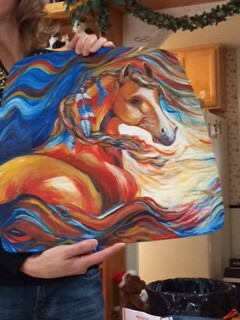 As I photograph my pieces, I will add them here. 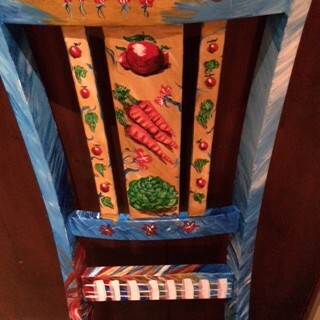 I also do artistic painting on furniture. 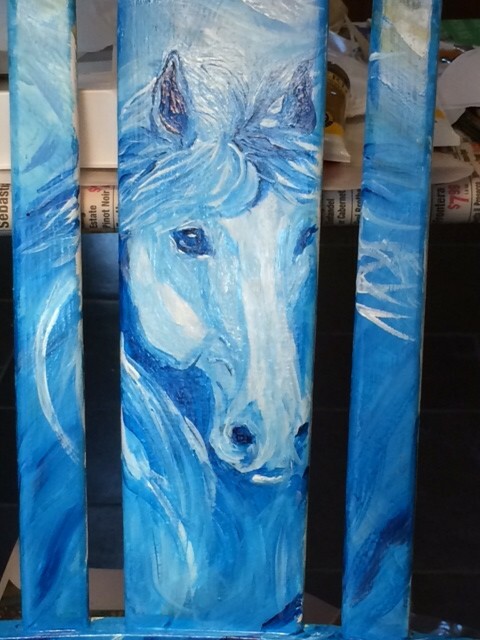 This is the latest piece that I painted — two horse chairs, one for my sister-in-law and one for my daughter. 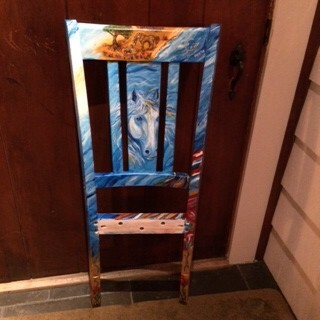 The seat of this chair was inspired by a photo done online by another artist. I’ve been searching for that photo ever since so that I can give that artist credit. I modified the image of course to give it my own interpretation. But it’s always wonderful to say thank you to other artists who inspire us with their work.